We understand that your website is not only key for your brand identity, reputation and the way customers and potential partners perceive you, but that it is also useful for meeting key business objectives efficiently. We develop corporate websites as well as bespoke business portals designed to enable businesses run efficiently by automating their processes and generating key data to facilitate decision making. We will take time to understand what you do and the objectives you wish to meet through web solutions and then create a strategy to enable you meet these objectives. 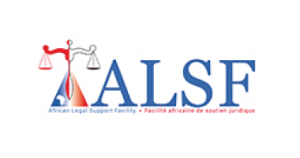 AMLA is a World Bank and ALSF program that seeks to document all the mining acts across Africa along with associated regulation and legislative documents. The AMLA portal was developed by Farwell and is a legislative platform that gathers, organizes and disseminates African mineral and mining legislation. The platform is a free online resource that seeks to promote transparency and accessibility of mining legislation. The AMLA portal has rapidly become a benchmark platform for transparency and inclusion within the mining sector. Kenya Bankers Association in conjunction with the Central Bank of Kenya commissioned development of the upgraded cost of credit solution which provides the general public with a calculator to estimate and compare the total cost of credit between different banks. Farwell’s expertise was trusted to develop an APR calculator that is flexible to the multiple loan products as well as loan charges provided by banks to facilitate estimation of the cost of loans. The solution is available as a website and mobile application for easy and convenient reference by users. The total cost of credit plays a key role in providing financial literacy to consumers by way of helping consumers understand the external factors and bank internal charges associated with the cost of a loan. 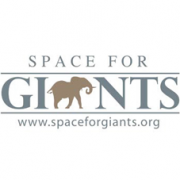 Space for Giants is an international conservation organisation that protects the great wildlife landscapes that Africa’s remaining elephants need to thrive. They had a vision to improve their logistics process, better manage participant expectations and reduce overall cost overheads. They looked to Farwell to develop a system that provides end to end management of the delegates, access and logistics as well as provide sufficient backend analytics to assist in decision making and improve even preparation. The Kenya Bankers Association were looking to provide bankers and interested parties with access to financial reports dating back decades. Central to accessing this information was the financial database web app solution that interacts with a database of the financial records to present stakeholders with an interface that makes it easy for them to compare data, generate reports, and make inferences thereof. Farwell was trusted with the assignment to design and develop the system. 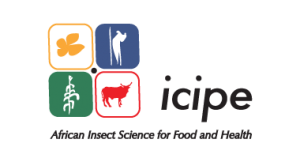 The International Centre for Insect Physiology and Ecology (icipe) selected Farwell to develop their new website and organise key content such as projects, publications, staff and news in a logical and co-linked format that allows users to view information and cross link to related information easily and quickly. Corporate website developed to provide in depth information about the facility, its mandate, projects, initiatives and publications. Farwell have been very accommodative in supporting banks in ensuring information is collected for the benefit of the Total Cost of Credit project. I would recommend Farwell for their capabilities and unmatched professionalism.